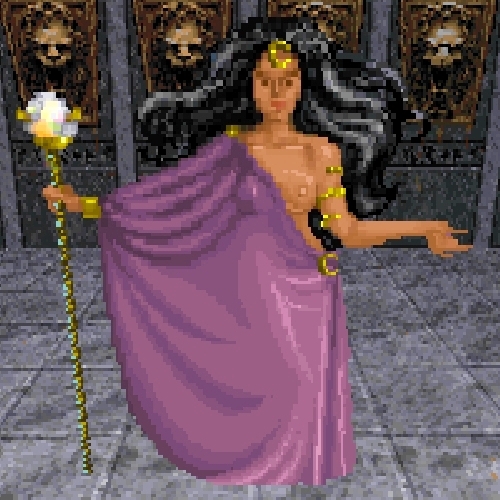 The Academic Mage is a character from Elder Scrolls II: Daggerfall. I have been secretly awaiting the Lunar Headpiece Sai Sahan wears to pop up in the Crown Store, but it looks like it’s not happening! So I decided to release her now. This entry was posted in Elder Scrolls Lore, Imperial, Purple Outfits, Worship Wear and tagged By Kyne It's Humid, Cyrod Gentry's Town Gown, Dark Red Lip Dye, Dwemer Motif, Dwemer Staff, Golden Wraparound Wyrm, Imperial Moonstone, Potency Blue.